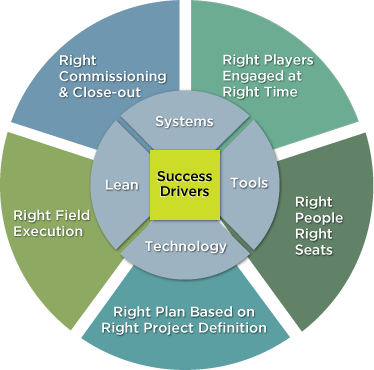 From our perspective, the key success factors are the right team engaged at the right time (owner, architect, contractor, special contractors), the right people in the right seats, the right design & execution plan based upon good project definition, the right field execution & flow, the right commissioning process, the right close-out process and the right systems, tools and technologies supported by a LEAN process. Besides having the right people in the right seats, the most important success driver is early, active engagement of the construction team in the project definition and pre-construction stages. Early involvement allows deep dive exploration of design alternatives, accurate/reliable cost planning, scheduling & logistical detailing and the creation of a collaborative, team-based environment with the goals and objectives of key stakeholders fully aligned. 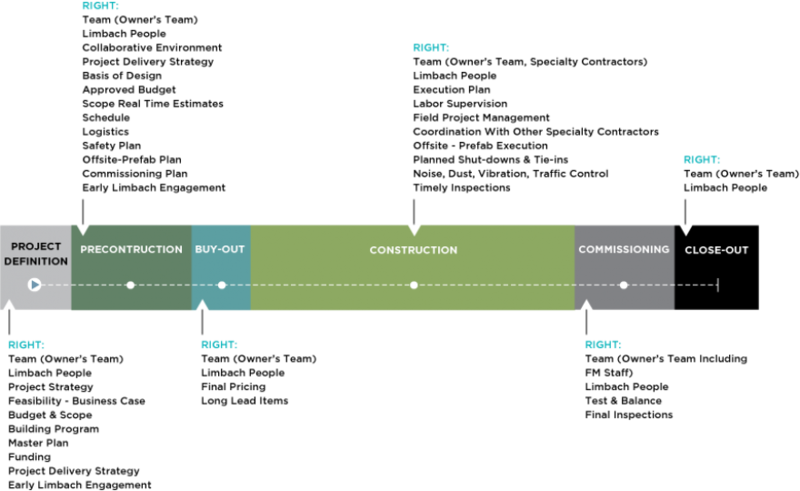 Highly complex in scope, thus requiring best-in-class design and expert field execution and close coordination with and between the building trades. Under time pressure, thus requiring an accelerated, fast-track process. Constructed in or around occupied facilities. Driven by owners who desire a collaborative, cooperative team environment from Day 1. Read more about our application of these delivery methods under Advanced Delivery and LEDS. Limbach Modeling and Production Technology. Trimble - GPS location technology for placement of MEP equipment.